First buzzed about back in December, official-looking imagery of Nike‘s PG 3 “NASA” has now emerged. 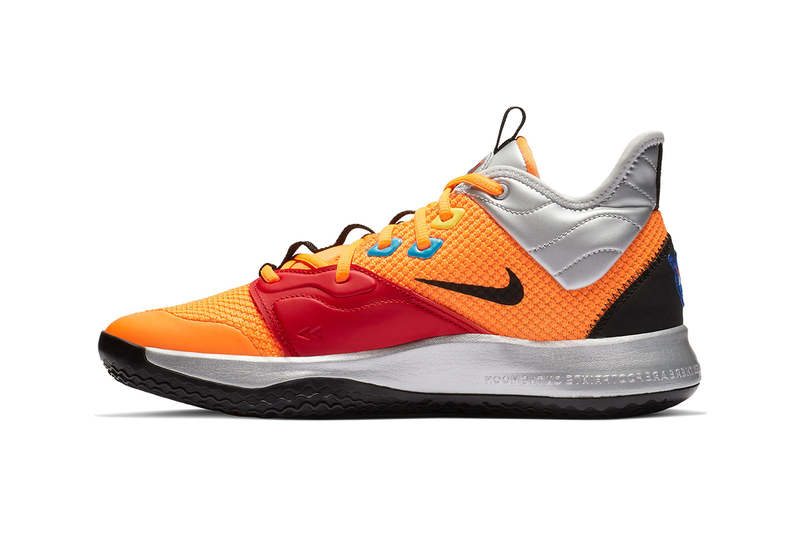 The next evolution of Paul George‘s signature PG 2.5, the shoe drives the inspiration home with a spacesuit-orange upper and futuristic silver on the midsole and heel. NASA logos appear on the insole and as embroidered patches on the back of the ankle, matching the red and blue lace cages. A red “REMOVE BEFORE FLIGHT” tag on the laces and American flag on the tongue complete the influence-driven design. Reportedly, the PG 3 “NASA” launches on January 19 — stay tuned for more information. Elsewhere, the Jordan Legacy 312 arrived in muted black suede. #snkrs #sneakerhead #sneakerlove #sneakerporn #kickstagram #instakicks #nicekicks #complexkicks #hypebeastkicks #hskicks #kicksonfire #solecollector #sneakerfreaker #sneakernews #sneakerfiles #sneakpeek #nike #teamswoosh #paulgeorge #nasa #usa #whatarethose #wechatplug what are your thoughts ???? not bad ?